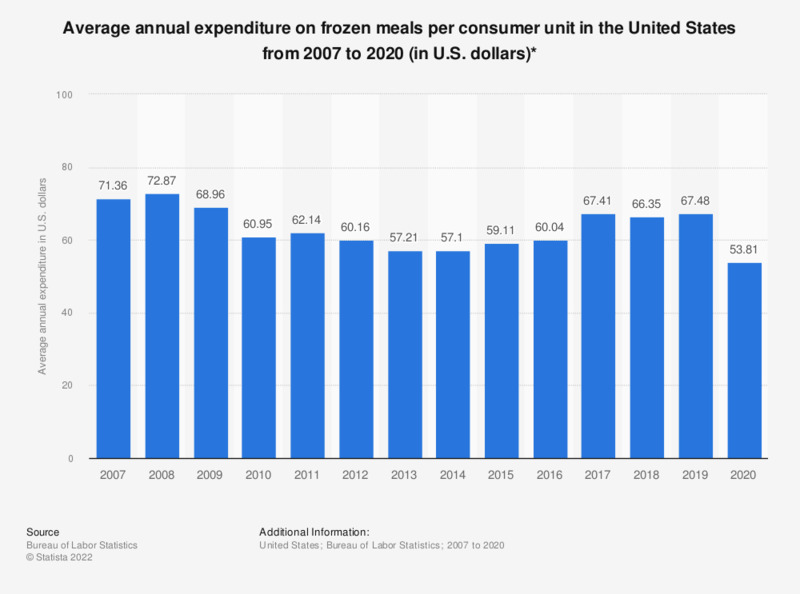 This statistic shows the average annual expenditure on frozen meals per consumer unit in the United States from 2007 to 2017. In 2017, the country's average annual expenditure on frozen meals amounted to 67.41 U.S. dollars per consumer unit. When you are buying frozen food products, which of the features below are important to you?